British researchers have been testing the potential of a compound in magic mushrooms with psychedelic effects, Psilocybin. According to the findings, this ingredient might serve as an effective treatment for patients with severe forms of depression who don’t respond to the current treatments available, Fox News reported. 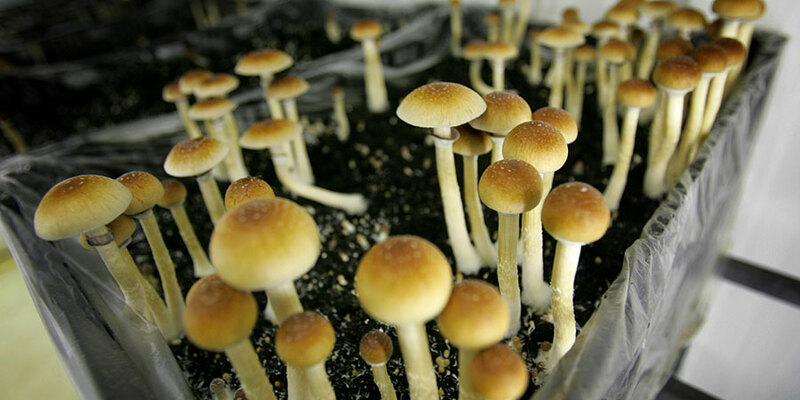 On Tuesday, the research led by David Nutt, a professor of neuropsychopharmacology at Imperial, said that a small-scale pilot study of psilocybin was used in cases of treatment-resistant depression. The results proved that the treatment implemented on patients is safe and effective. According to the reports, six men and six women, between 30 and 64 years old, participated in the trail. They were all diagnosed with treatment-resistant depression. In order to get the permission to participate, they had to go through a full screening process. Scientists fully supported them during the entire process. British researcher chose 12 patients to give them the drug. During 3 weeks, all of them showed a decrease in signs of depression. After 3 months, seven of them were still showing a positive response. Only five of them 12 continued to respond positively to the treatment beyond the three months. During each session, scientists kept an eye on the patient’s blood pressure, heart rate and the self-reported intensity of the effects of psilocybin. In addition, patients were periodically monitored by a psychiatrist after the second dose. Robin Carhart-Harris, lead author of the study, said that the result they obtained were remarkable, while plenty of patients showed a change of perspective in the way they see the world. However, he insisted that they are still learning how to implement the treatment, so it’s better not to get too excited with the results, he told reporters at a briefing in London. The findings were published in the Lancet Psychiatry journal. Depression is a very common mental disorder, the ones affected by it experience sadness, loss of interest or pleasure, tiredness, feelings of guilt or low self-worth, disturbed sleep and appetite, and poor concentration. According to The World Health Organization, around 350 million people worldwide suffer from depression. And even when many of them manage to get better and have a normal life with antidepressants and cognitive behavioral therapy, 20 percent of patients with severe depression get diagnosed with treatment-resistant depression. According to the researchers, psilocybin could be developed in order to treat depression because it acts on the serotonin system. Regardless this, scientists were worried because it’s been proved that hallucinogenic drugs may be responsible for side effects such as anxiety and paranoia. However, Carhart-Harris confirmed that during the study the patients didn’t give any sign of being experiencing any serious side effects. “Psychedelic drugs have potent psychological effects and are only given in our research when appropriate safeguards are in place,” he said. Carhart-Harris emphasized that people can’t treat their own depression by recklessly picking magic mushrooms because it could be dangerous.